In one of our previous posts, we discussed how to use Snapchat. This time around, we’re going to find out how to use Instagram Stories for marketing and promotion. If your goal is to get wider exposure for your brand or bring more people to your business website from one of the largest social networks in the world, the following information will help you build your further marketing strategy. Stories are a feature allowing Instagram users to share photos and short videos that are available online for only 24 hours from the moment of posting. When the post expires, the content is automatically deleted. Furthermore, photos and videos shared as Stories can be modified with various filters, stickers, text, emoji, doodlings, etc. Stories can also take various forms depending on the user’s creative vision, e.g., live broadcasts, boomerang videos (short looped videos), accelerated videos, rewinding videos, zoomed videos/photos, etc. As a result, there’s a wide scope of possibilities for unleashing your imagination and making engaging visual content that may appeal to your target audience. But most importantly, Instagram Stories have over 400 million daily active users worldwide, which makes it a powerful marketing tool. The goal of Instagram Stories is returning to the original idea of the social platform: capturing the brightest moments of life as it is, without resorting to professional photography. Therefore, businesses use the feature in order to humanize their brands and increase the audience engagement. After being posted, each Story on Instagram becomes available to all of your followers. Furthermore, Stories automatically show up in the header of the user feed. This ensures that your content won’t be lost among other posts and will get the broadest audience coverage. It is also noteworthy that there is no preview in Instagram Stories, and therefore, any user who wants to know what’s inside of the Story will have to click on its icon and view the post. This increases the chances for your content to get seen, enhances the immersion, and makes the communication between brands and customers more personal. The last but not least, Instagram Stories are quite easy to make. They won’t take you much time because all the tools you need to create an engaging post are already embedded in the app. And since you know your content will eventually disappear after a while, you are not obliged to invest tons of time and effort to come up with a masterpiece. All you really need is an auspicious moment and a bit of creativity. How exactly can you promote your brand using Instagram Stories? Thanks to the abundance of creative tools it provides, there is no shortage of options. But whether your efforts will be productive or not depends heavily on your creativity and readiness to commit yourself to the production of quality content and engaging your audience with due consistency. This is the most obvious way to spread the word about your brand with the help of Instagram Stories used by 36% of businesses. Why is it so popular? Because Instagram users love to be the first to know about upcoming goodies and updates from brands. Therefore, posting Stories on Instagram is a great way to announce new products, attract the attention of your target audience, and build up some hype. Just take a couple of vivid product snaps or record a video featuring your new product, apply various visual effects, and deliver creative content to your audience – it’s as easy as that! There is always a story behind the creation of a product or service. Use Instagram Stories to let your audience know how your product is manufactured, what it involves, and how much labor or skill it takes. When there is a fascinating, sweet or inspiring story behind the beautiful photos of a finished product, your potential customers will get inspired too – and make a purchase as a result. Having a glance behind the curtain is always an enticing idea, isn’t it? Instagram Stories allow you to turn your regular business activities into interesting and fun content. This can be anything ranging from photos of your employees to short videos capturing exciting moments from your company’s daily routine. Behind-the-scenes photos and videos are incredibly popular these days as they allow people to see things they normally don’t have access to. Besides, in the sea of standard social media posts, they seem a bit more refreshing while granting the sense of exclusiveness to the audience. It’s no secret that customers love being featured in social posts by brands they follow. Instagram Stories let you share not only your brand’s story but also stories of your most loyal customers. Leveraging user-generated content is an extremely popular marketing strategy. 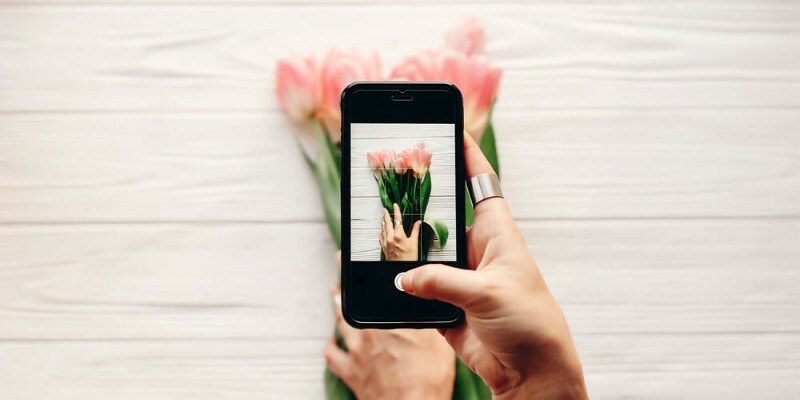 All you need to do is find interesting photos or videos featuring your brand or products posted by other Instagram users (use the search by hashtags), ask their permission to share the content from your business account, and make an exciting story out of it using various filters, stickers, geotags, etc. For your customers, it is an excellent opportunity to impress their own followers; for you, it is a free advertisement. Product stickers: stickers used for tagging products; by tapping these stickers, users can find out more about a product and even buy it. Hashtag stickers: tapping these stickers allows you to access the related hashtag page immediately. Poll stickers: add a question to the post and provide a few answer options for viewers to select – a great way to get instant feedback. Question stickers: almost the same as poll stickers but provide your followers with an opportunity to type the reply instead of just picking one from the available variants. Photo stickers: allows you to insert photos inside of other photos. There are more types of stickers offered by Instagram, including GIF stickers, emoji stickers, music stickers, geotag stickers, etc. Use them to add more creativity to your Stories and drive engagement! Geotags allow you to mark your location on the map and let your Story be seen by people checking out the area. This feature is particularly useful if you want to expand the local outreach of your business. It is widely known that Instagram allows inserting a link in a profile bio. Just like your regular Instagram posts, your Stories should encourage the audience to click through to your bio and follow the link. Various graphic elements that can be added to your posts will help you with this task. For example, you can add an arrow pointing at your profile image to draw people’s attention, add a sticker with your Instagram handle or provide a call to action (CTA) encouraging your followers to open your bio page. What is more, you can apply swipe-up links directly to your Stories. However, this feature is only available to business accounts with more than ten thousand followers. Takeovers are all about collaboration with influencers in your niche. This is a popular marketing strategy that allows brands to make use of an influencer’s reputation and audience coverage while giving the influencer a chance to engage new audiences. Thus, it is a mutually advantageous venture! The idea is to get an influencer in your industry run your Instagram account for a certain period of time. However, it is important to select the right person for your takeover campaign, the one that really matches your niche and brand in particular. Live streaming is a great way to increase engagement and stir the public interest in your Instagram account. Even more so, considering the benefits of the platform-integrated streaming tool, Instagram Live. Of course, making live videos is not easy. It involves lots of spontaneity and improvisation, which is exactly what appeals so much to the audience. But if you manage to record an interesting live stream, make sure you add it to your Instagram Stories. Stories containing a live video are easier to spot as their icons are marked with a “LIVE” label. Thus, your content has more chances to get seen. Don’t forget that the Stories feature was actually created for telling stories. Launching a miniseries is a nice way to tell your own story to the audience. Being light and unobtrusive, this format allows you to share interesting details from your brand’s life and retain your followers’ attention. You could tell the world about your achievements, highlight the remarkable moments from the brand’s history or showcase the process of developing a product episode by episode to build up hype. The options are many, so it all depends on your creativity! Through Stories, you can share a lot of useful information with your Instagram subscribers. For example, tips on using your products or just interesting life hacks. Such Stories can be published every day or once a week to kill two birds with one stone: provide your customers with valuable data and keep them engaged all the time. 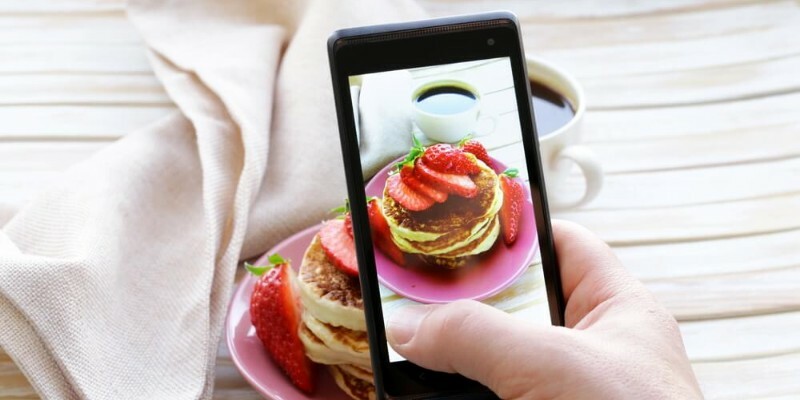 The format of Instagram Stories allows you to create intriguing teasers for your main content, thus, promoting your website, blog or YouTube channel to a wider audience. For instance, you could simply share a fragment of your video as a Story and provide a swipe-up link to the whole piece available on your personal website to get more exposure for it. Instagram Highlights are Stories saved in your account. They serve as albums containing one or several stories you’ve already posted. Highlights do not disappear after 24 hours and allow you to store and structure valuable information within your profile. Your Highlights are available for the public on your profile page. Thus, if you publish miniseries as Stories, for example, it is a good idea to save all the episodes as Highlights so that new viewers could check your older posts. 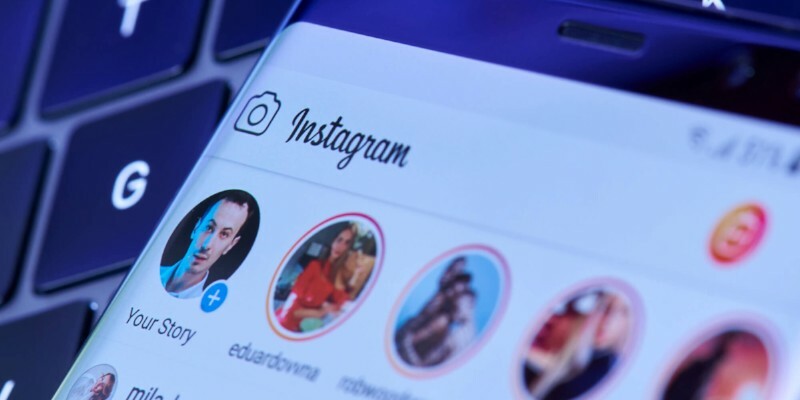 Although Instagram Stories were made for fast, short-lived publications, it is not advised to use the feature as an outlet for random photos or videos. Even though the posts disappear after 24 hours, your followers will remember them. Unless they make a great impression on your audience, your brand reputation may be damaged. It is also worth remembering that Stories shouldn’t be posted too often. Consistency is not equal to spamming. So try to avoid flooding your followers’ feeds and focus on the quality and originality of your Stories.